No matter what level of competition, herbs can be used as a supplement to assist with developing athletic fitness. 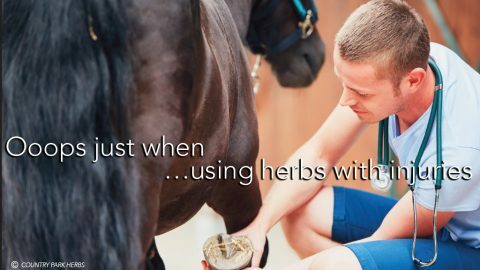 With most calming herbs being considered unsportsman-like or listed as prohibited, the rider has to be careful with using herbs such as chamomile, lemon balm and valerian. While training, calming herbs can be used to assist your horse’s body stay balanced, but once you start competing it is best to avoid these herbs. 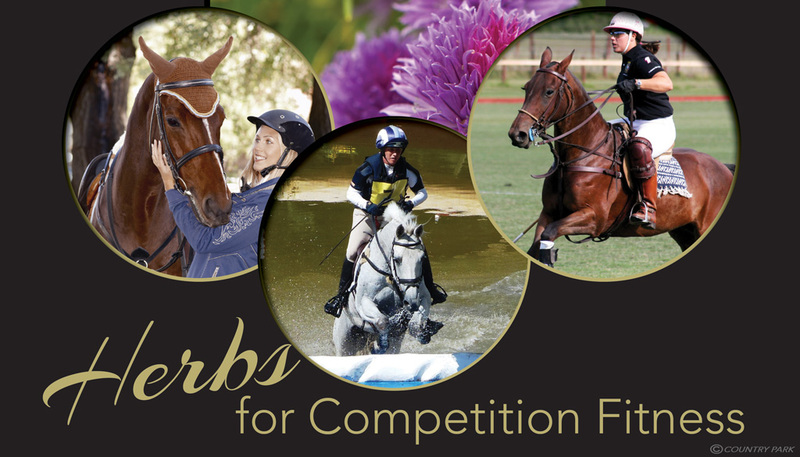 Using calming herbs in a block of three months where you have the time to help the horse overcome behaviour triggers is preferred to that of administering a calming herb during competition season and resorting to taking a horse on and off these calming herbs, as this can have a yo-yo affect creating more instability. If calming herbs are used in conjunction with other herbs that address the internal aspects of the horse while training or spelling, this will help to achieve a more stable and healthy core so that the horse can move beyond the behaviour under pressure when returning to serious work. From a holistic perspective many of the stresses your horse shows can be linked back to a gland or organ. For example, the horse that gets temperamental when anxious may benefit from some liver herbs. The horse that is very agitated could be supported by kidney herbs, or the horse that spooks easily may settle if you soothe the gut. This approach can then follow on with how you address physical issues a horse may have and how you can assist by considering which organ or gland you support. By supporting the liver this will then help the body strengthen tendons and ligaments. It will also assist if the horse is nervous. The type of nervousness will determine if you use dandelion root, turmeric, St Marys thistle or rosehips, individually or in conjunction, and these herbs can settle aggressive behaviour while improving the elasticity of the affected connective tissue, which could originally be reflective of the need for flexibility in the horse’s nature. Nutritional support can be provided to the nervous horse that has itchy skin or arthritis with nettles, combined with burdock as the supporting liver herb. While slippery elm will soothe the gut and in turn will ease the irritation to the skin so that the horse can relax and better uptake nutrition that may have not been able to feed the skin before. Soothing the horse’s bladder with cornsilk or settling his kidneys with parsley leaf may help to balance an unsettled nature, especially when a horse’s urine increases when stressed or when a mare is in season. These herbs can ‘wash away’ the perception that triggers the horse that shies or jumps at shadows. Approaching herbs in this way helps avoid a common mistake of trying to replace a prescription medication directly with a herb or simply giving a herb based purely on one symptom. 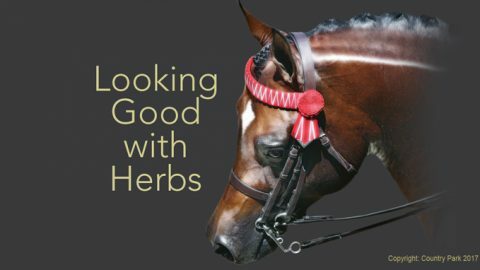 By broadening the approach you can still cover most aspects of a horse’s wellbeing with three to five herbs in a mix and then, the added dimension covered further prepares the horse for outings, both physically and mentally. Assessing small changes in behaviour or normal physical functions provides an opportunity to develop an insight into health that can then help associate a bad mood or behaviour back to a slight imbalance internally and thus widen your perspective as to possible links that will in turn, assist to develop your approach to herbs. Acknowledging these hints that could have previously been discounted will develop a new perception and your observations will subtly hold the key to succeeding with your herbal choices. 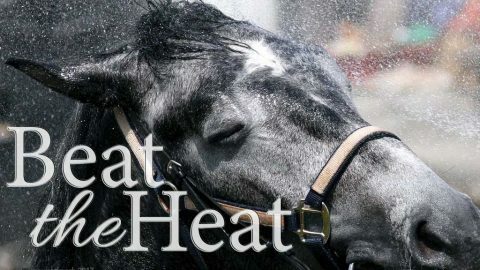 Final outcome will be a happier horse when out competing, who does not need to rely on ‘calming’ herbs, because a broader herbal approach will have balanced the horse before leaving home.